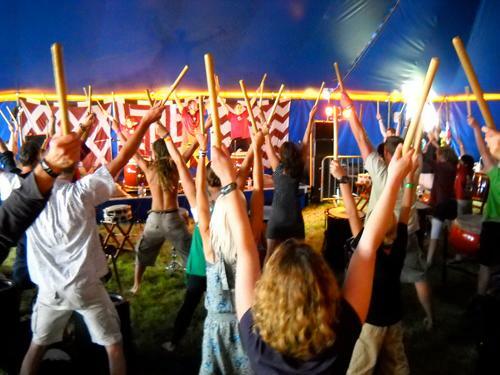 Taiko Time is one of the largest Taiko drumming groups in the UK with up to 12 drummers. 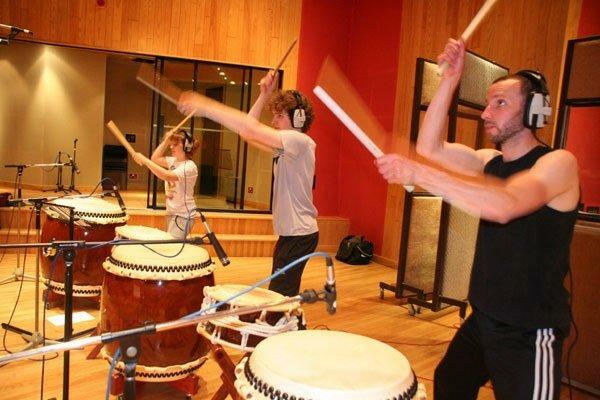 They play original Taiko compositions, but with roots based firmly in a rich bed of traditional Taiko rhythms and techniques from all over Japan. They also offer Taiko drumming workshops. 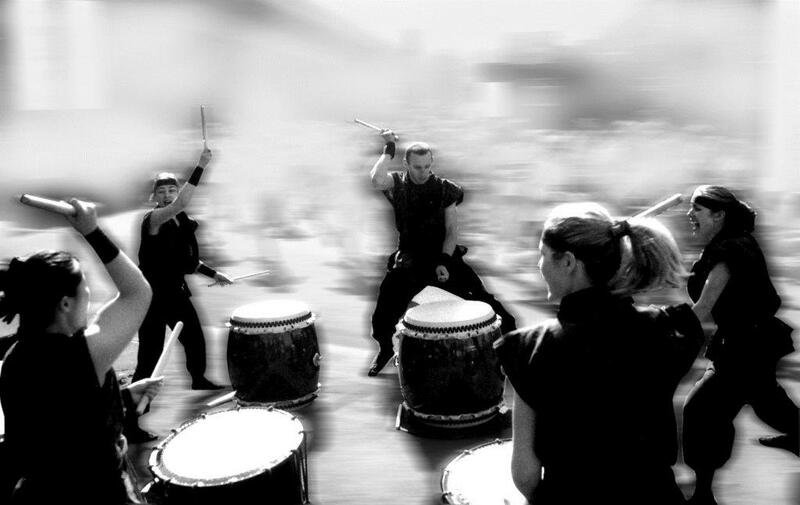 Taiko Time’s performances display a wide variety of physical playing styles, rhythms and musical textures. The Japanese Drummers have performed for diverse audiences from art dealers to marathon runners, clubbers to royalty. 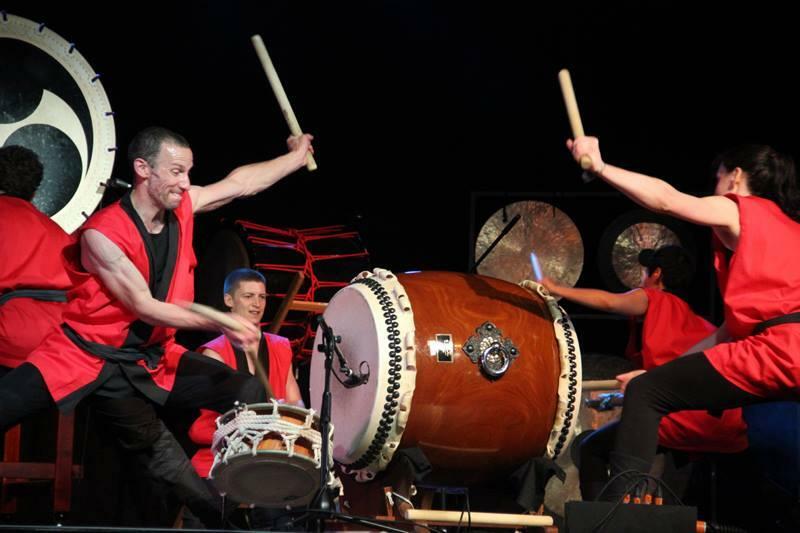 They continue to inspire audiences with their uplifting music, boundless energy and pure enjoyment of playing Taiko. Members of Taiko Time hold public Taiko workshops for people of all ages. They regularly take the Taiko drums to primary and secondary schools, all around the UK, for introductory Taiko workshops or longer residential projects. These usually culminate in a stunning display of Taiko by the children for the rest of the school. Many thanks for your participation in the Arts Festival this year. The students thoroughly enjoyed working with you and your input helped to make this year’s festival both the biggest and most successful in its 9-year history. I hope you will be able to participate in future years. 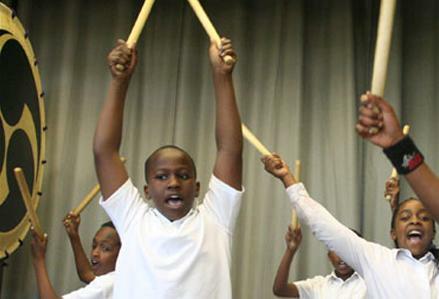 Thank you so much for the drumming session last Wednesday; it was definitely my personal favourite of the week! Hope to work together again soon.